As we all know, we can get Gems in Clash of Clans by removing obstacles like trees, trunks and bushes. 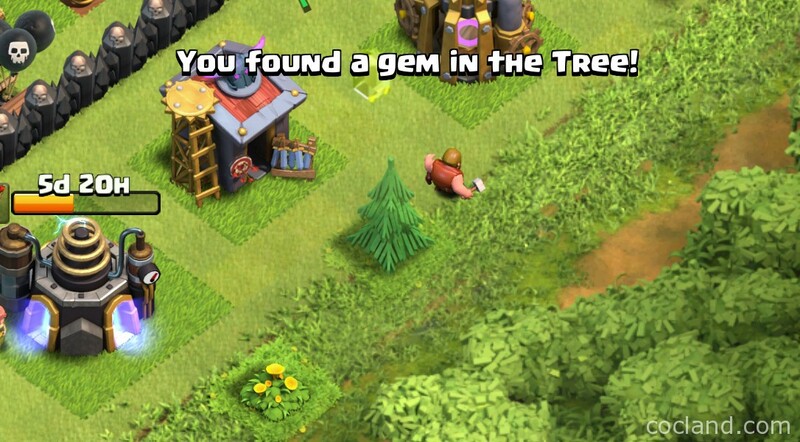 No matter what obstacles you remove, the number of Gems drop from them will always follow the sequence above. We can get new obstacle after every 8 hours, It means there are total 21 obstacles respawn on your land per week. So you can get up to 45 Gems every week. Normally, we have a Gem Box (25 Gems) every 2 weeks. It means you can earn up to 45×4 + 25×2 = 230 Gems every month.